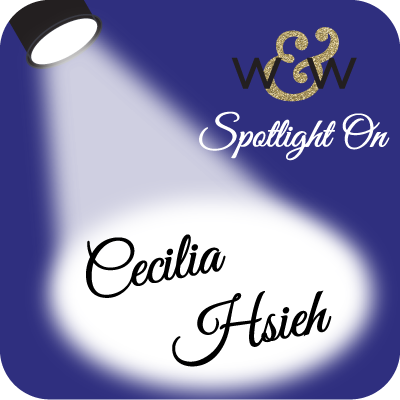 We are so happy to have Cecilia Hsieh back with us for another awesome post with an emphasis on black & white! If you missed learning more about Cecilia and seeing her first post showcasing an elegant and dramatic duo of cards CLICK HERE! It's Cecilia Hsieh from Cecilia's Cards back again at Winnie and Walter. I have two more cards to share for the Black and White theme. These two are masculine cards, so I have avoided too much bling on them, just some gems to add a bit of sparkle. For both of them, I have used Ranger Texture Paste on black card stock and Winnie and Walter Creative Screenings - Scenery: Big Bang Circle Creative Screenings and Scenery: Big Bang Classic Star Screenings for the background. 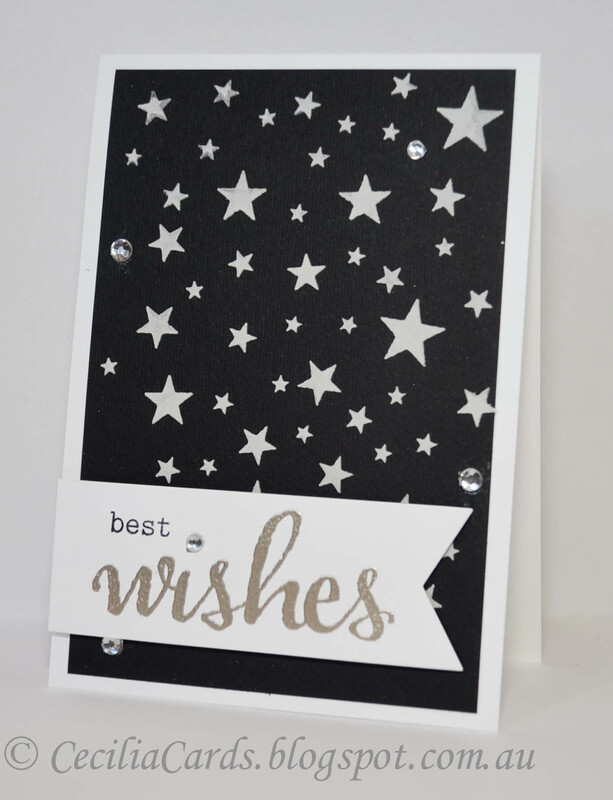 The sentiments were embossed with Ranger Liquid Platinum with the first card being partially die cut. This is the first time I've tried this technique and I love how some of the sentiment is on the original card and the rest cut out. 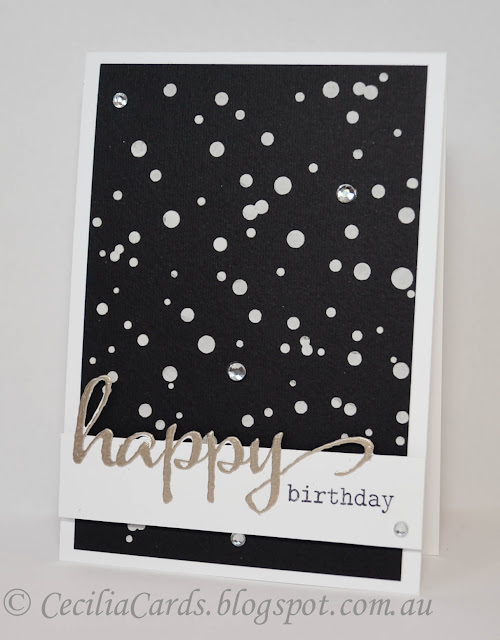 The sentiments are from The Big, theBold and Party and The Big, the Bold, and the Happy stamp sets. The sentiment strips were popped up on dimensional tape. Thank you Shay and Julie for allowing me this fantastic opportunity to be 'Spotlighted'! BOLD & BEAUTIFUL cards Cecilia!!! LOVE the ELEGANT designs of them both!!! I confess, your HAPPY Birthday card is my favourite, the background is MAGICAL and your partial die cut POPS - a technique the I really do need to try, it really adds some extra AWESOMENESS!!! These are beautiful, love the black, white and platinum combination! Classic and elegant colour combo! Love them both! Beautiful! Love how you've added just the right amount of sparkle and shine.